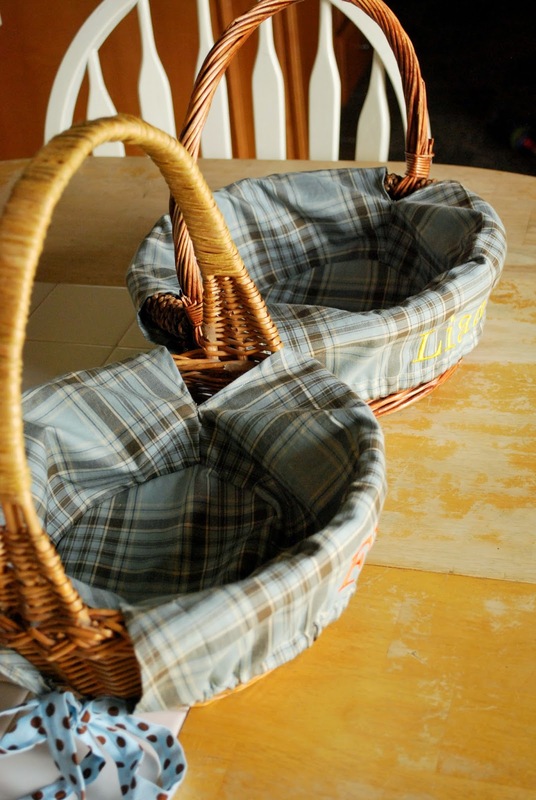 Easter is coming up and I have been scanning for baskets, hoping to find something cute, vintage, and affordable. I found THESE lovelies at Pottery Barn Kids for a not-so-lovely price. So, I decided to make my own. Aww! Gasp! It's true, I am no seamstress. But if I can pull it off- ANYONE can. First stop was DI to find some baskets. For material, I looked at what I already had. My grandma had given me some light blue fabric a few months back that I thought of using, but then I came across this leftover curtain fabric from the boys' nursery. For the ties, my mom had some blue and brown polkadot fabric lying around. 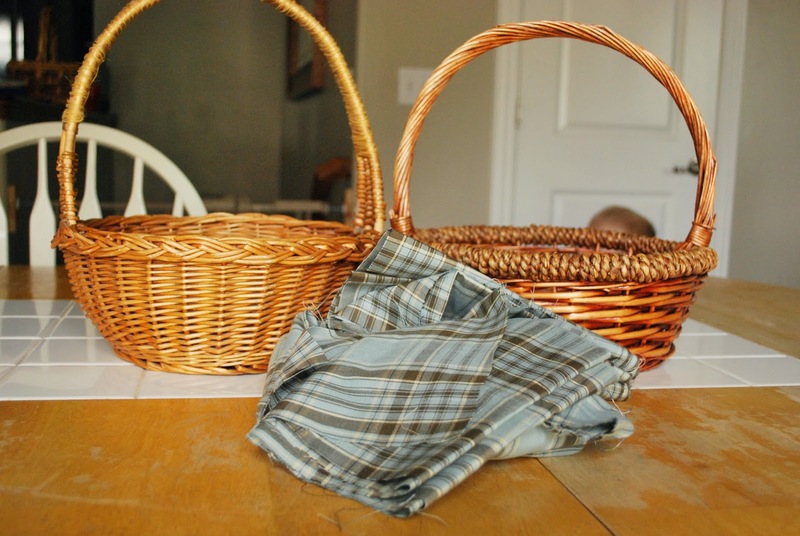 It is a little baby boyish, but I can always switch them out as the children get older. I'm not going to go through the steps of sewing the liners. You can find a great tutorial HERE. 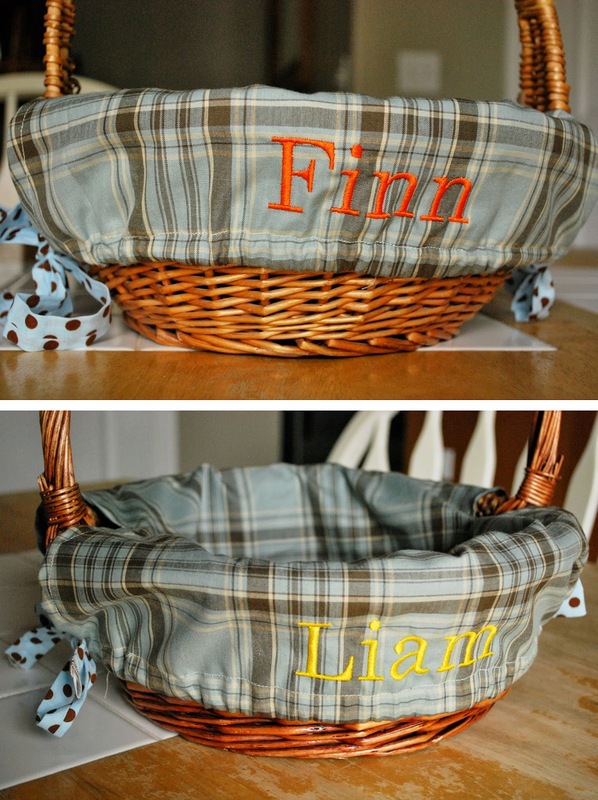 This is the one I used and it's pretty simple...even for non-sewing peeps like myself. 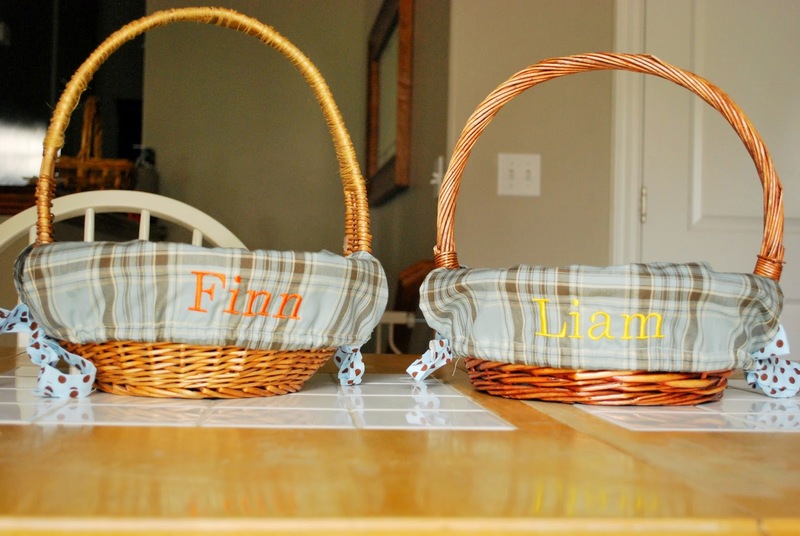 You can also google "DIY Easter basket liners" and get tons of info, videos, etc. but I think it adds major cuteness! I think they turned out pretty good (Just don't look too close!). It sure beats paying $40-$80. Good job Megan! Sooo cute!